Driving down the Seward Highway it is difficult to keep my eyes on the road as I am craning my neck to try to find a Dall sheep on the mountains to the left and beluga whales in Cook Inlet to the right. 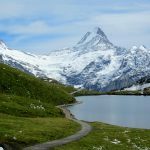 The overwhelming beauty of the snow capped peaks and promise of exotic wild animals are so irresistible that staying on the road and keeping alive is a mere afterthought. 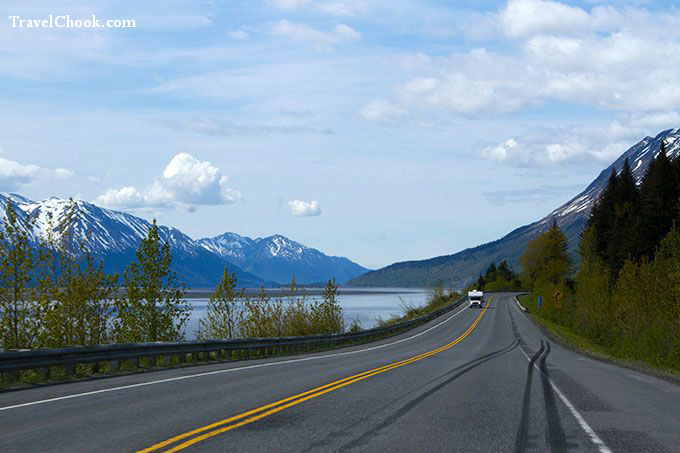 Driving along Turnagain Arm situated between the Chugach Mountains and Kenai Peninsula, the highway explodes with spectacular scenery from every direction. I am utterly besotted. I randomly announce I want to live in Alaska. Some of the panoramas are beyond belief they are so beautiful. The weather in Alaska changes quickly and can go from sunny with brilliant blue skies to overcast and black in literally minutes. 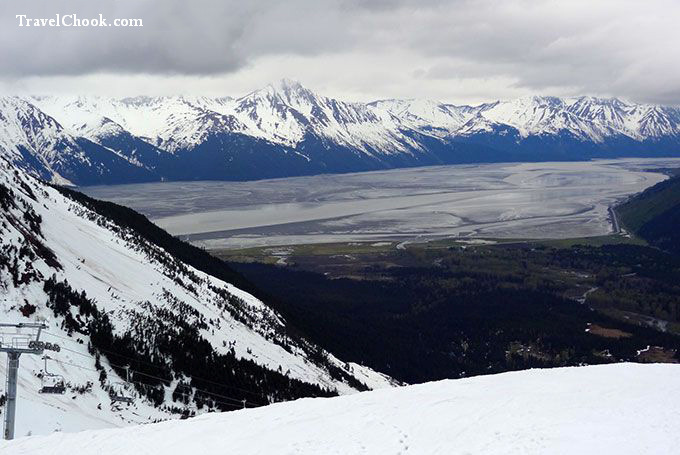 We took one day to drive up the Seward Highway and another day to drive back. It is hard to comprehend the scale of these mountains, and how they completely surround you. Actually seeing is believing, and no amount of photos can do the scenery justice. Because the scenery is so wow, I am regretting insisting on being the driver. But on the other hand, I get to choose where we pull over. 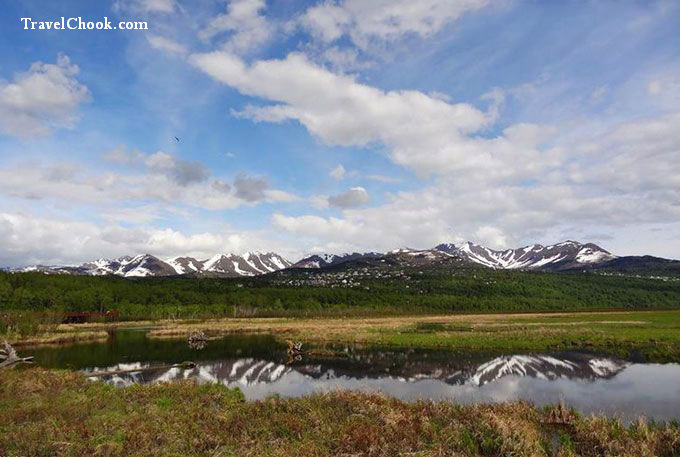 The drive along the Seward Highway has so many pull offs, it is best to make a full day trip of it going up, and a full day trip going back. 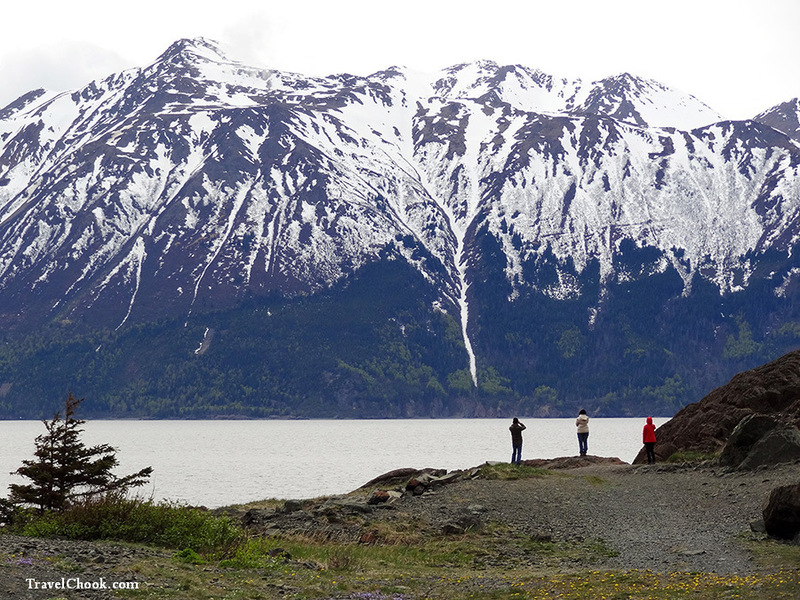 Whatever you do, the Seward Highway will not disappoint. Just allow more time than you think you’ll need! We purchased The Milepost to make sure we didn’t miss any stops. 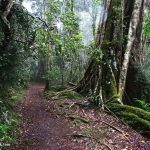 The Milepost lists all the stops so you know where everything is and where to stop – I highly recommend it. 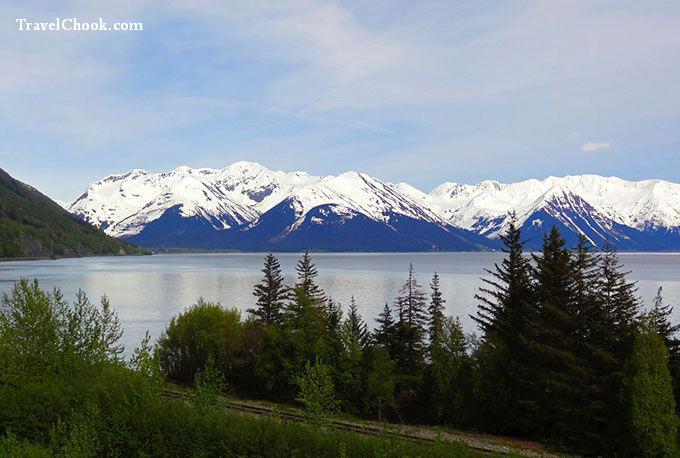 Below are some of our stops along the Seward Highway and just off it. We could not resist taking a short detour down Portage Glacier Road to the Begich Boggs Visitor Centre on Portage Lake which was beautiful and mostly frozen over with lots of eagles around. There was a bald eagle and a golden eagle circling on the banks of the lake. 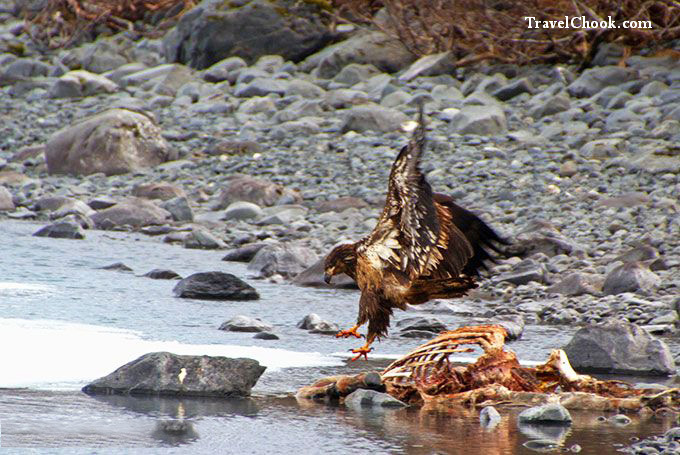 We spotted a carcass ahead and were walking toward it when a golden eagle flew down right in front of us to pick at a carcass. We stayed there for a couple of hours eagle watching. We pulled over to do a bit of light hiking in Chugach National Forest, which looked so ancient and mysterious. There are so many hikes to choose from and lots of salmon viewing platforms, which were empty because the salmon hadn’t started their journey yet – too early. If you are around when the salmon run, pull over at Williwaw Fish Viewing Platform. We stood on the platform just wishing it was a few months later when the creek will be filled to the brim with salmon. 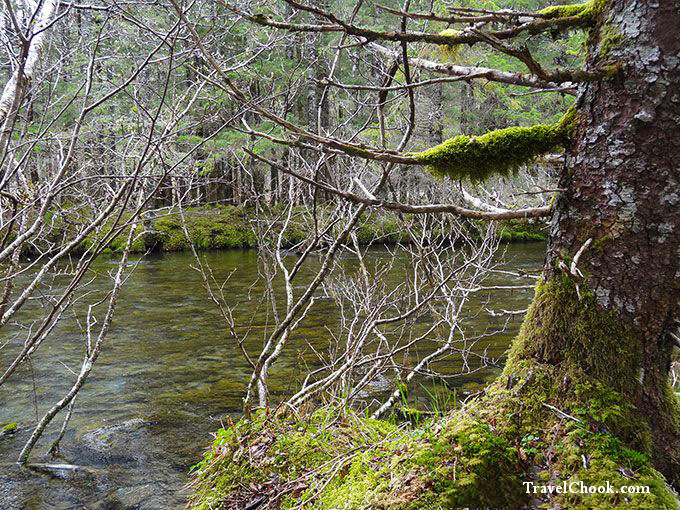 To make up for not seeing salmon, we walked part of the Trail of Blue Ice which took us over little bridges and parts of beautiful forest. 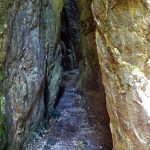 The weather conditions prevented us from doing the whole trail. 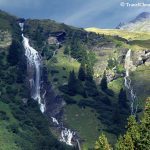 Girdwood is along the Seward Highway, and there are some good hikes from Alyeska Resort in Girdwood, which we planned to do, including Winner Creek Trail. Unfortunately they were all covered with snow at the time. 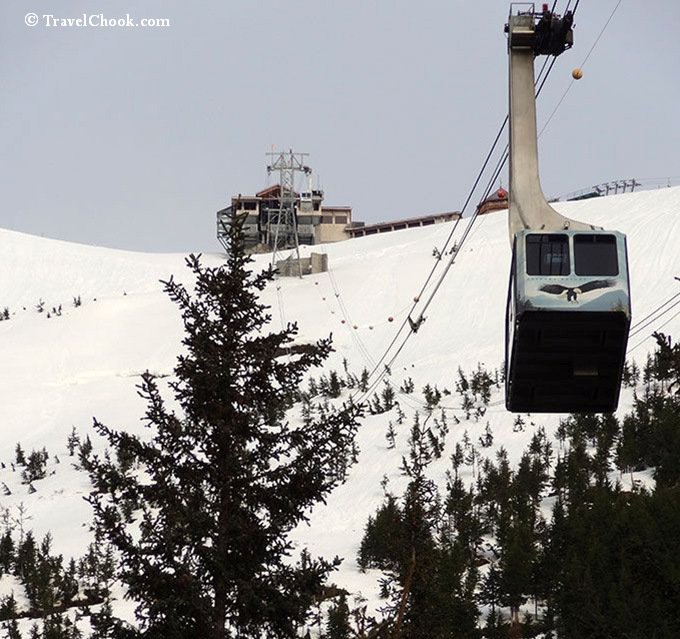 But we had a night booked, so made the most of it, enjoyed strolling around the place and getting the scenic aerial tram up to Seven Glaciers Restaurant. The views from there are amazing and worth going up for. 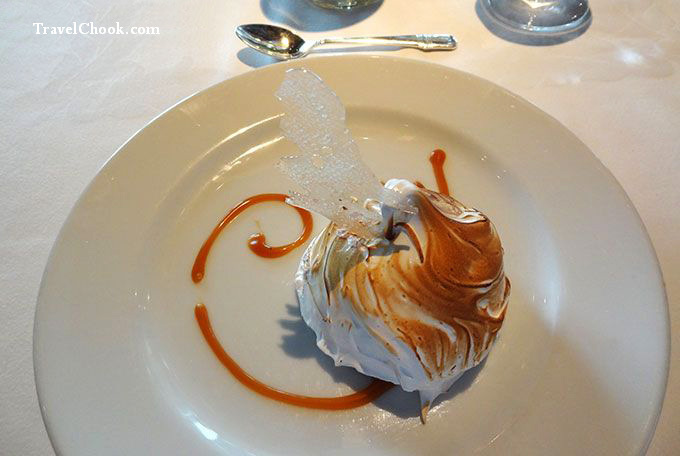 Seven Glaciers Restaurant is a special and memorable place for its location, views and incredible food -unforgettable. We blew the dinner budget here and it was worth every cent. If I ever get anywhere near Girdwood again, I will be going back for more. Instead of burning calories hiking (thanks snow), we put them on, lazing in the spa and gorging on a 3 course meal. 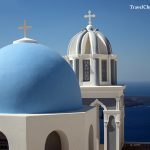 Seriously, check out these views and the food! Loved it! 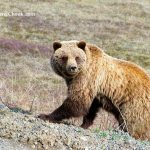 There are so many stops along the Seward Highway and the Alaska Wildlife Conservation Centre provided one of our bear highlights. It was overcast and drizzly and there was virtually no-one there except us and a bear trainer/manager. 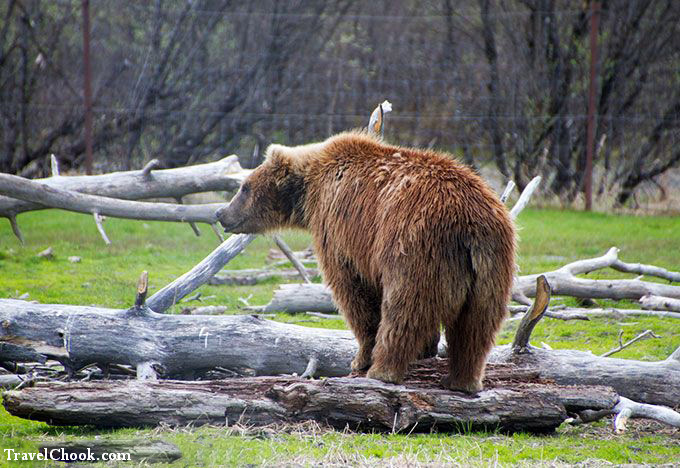 We stood for ages admiring a beautiful grizzly cub full of personality – Taquaka. Click here to see more photos of him playing in a dam with antlers. 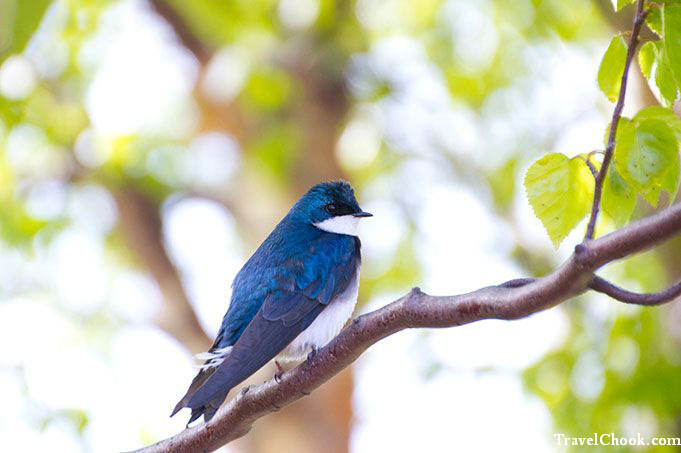 If you love observing animals, the Alaska Wildlife Conservation Centre is a must. 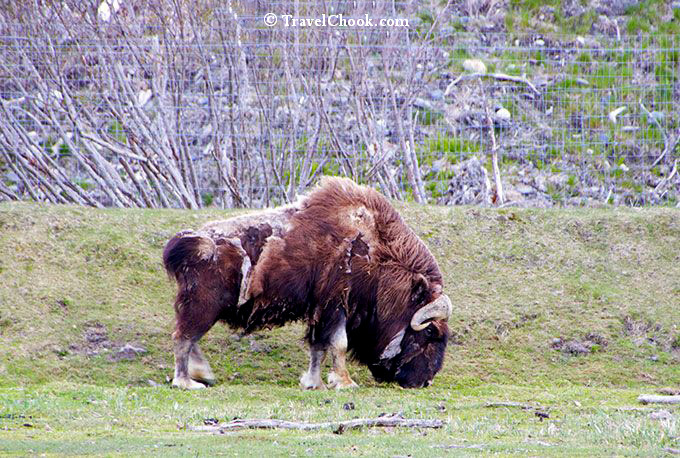 I adore the musk ox, and there were plenty of them. They are so amazing to just look at and all so different. 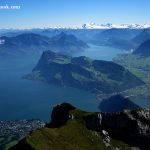 I wanted to take the lynx, musk ox and bear cub home to Australia, but sometimes, you just have to deal with the fact that you cannot have something you really want. 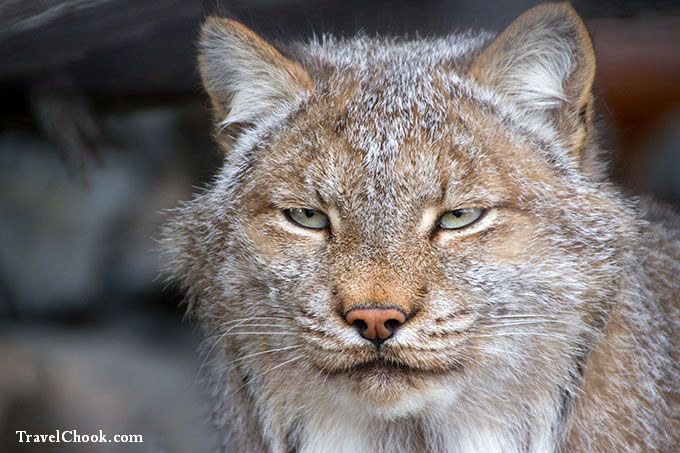 It was really hard to refrain from patting the lynx when he was so close and so utterly gorgeous. 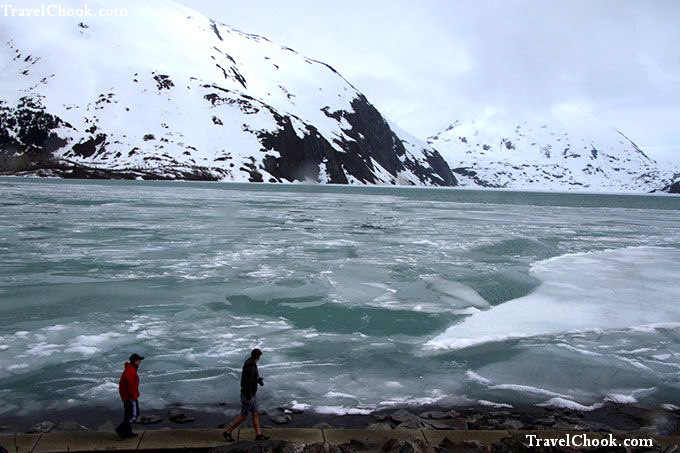 Our final and best stop was Seward and the beautiful Kenai Fjords National Park and Exit Glacier – awesome! 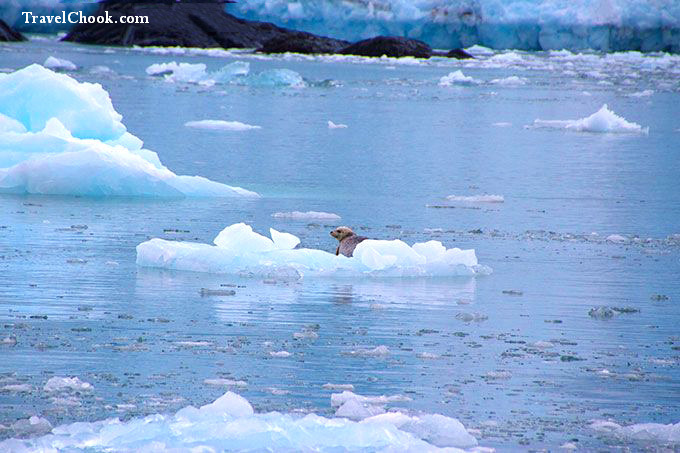 Being out on the water watching whales, seals, crashing glaciers and puffins made for an unforgettable day. Seward itself is also set in a stunning harbourside location. 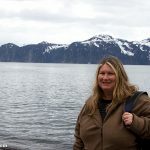 Click here to see my post and loads of pictures of Seward, Kenai Fjords scenery including day cruise and animals. 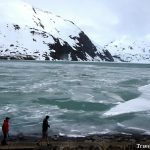 Overall, driving the Seward Highway from Anchorage to Seward was filled with spectacular scenery, wildlife and loads of things to see. It more than lived up to expectations. 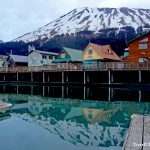 You ideally need a full day driving to Seward if you are serious about enjoying all the stops and sights along the way. 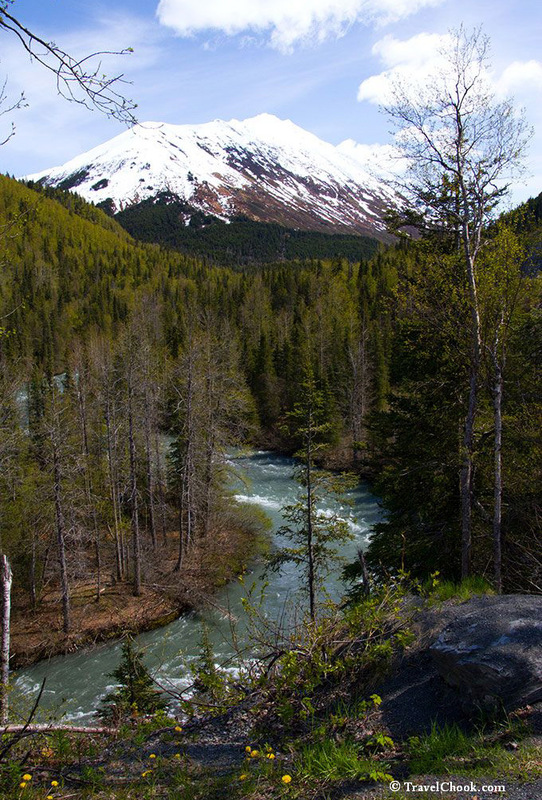 Stay 2 nights (keep a full day for the Kenai Fjords cruise) and take a full day to drive the highway back to Anchorage and see the stops or detours you missed on the way down. 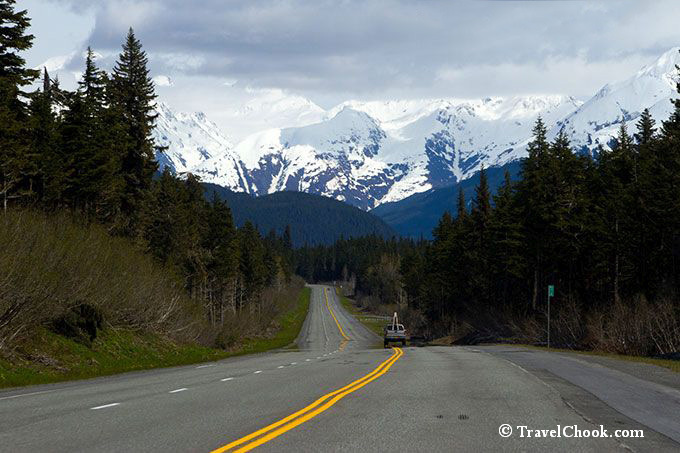 What are other places or stops you think should be included on an Alaskan Road Trip?